Well...big bug in Maya. Not too sure if we got it fully fixed yet but I can see the file at home so that's a start. 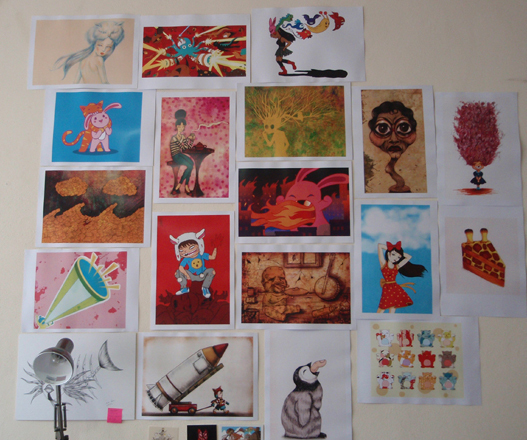 I re-decorated my wall at the studio, not a lot of fish this time around but a lot more variety of works to be seen. Quite busy at the moment with work and school. It definitely feels like I am in a whirlwind right now.